Plus Technologies has a new UI release. Version 2.1 of the OM Plus UI is available for customers with valid technical support contracts. 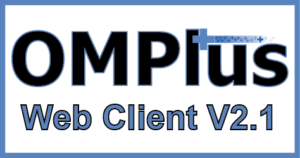 This upcoming version of the OM Plus Web Client has been completely re-written. Users will notice immediate functional and usability improvements. This new UI has a completely redone home screen with many usable features. Version 2.1 of the Web Client will start shipping immediately. However, OM Plus Delivery Manager (DM) version 2.6.7 (or later) is required. Furthermore, this web client is written in html and java. Therefore, this new UI requires Tomcat and Java Runtime,. This new version is focused on enhancing the “Request Status” screen functionality. In addition to huge performance improvements there are significant usability enhancements. This new user interface is easily customized for each user. Additionally, columns are able to be resized, hidden, moved, pinned, and/or re-ordered. For users in multi server environments we now support a new multi-tab view. Users are now able to right click and see enhanced options and capabilities for productivity. Moreover, a list of ‘interrupted jobs’ is easily accessible.